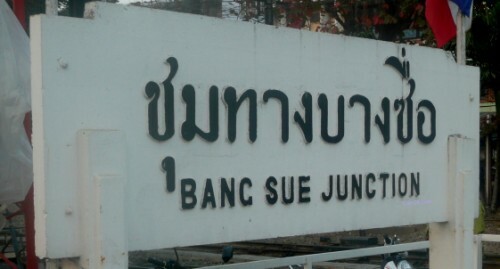 Bang Sue Junction Station Bangkok is a train station in Chatuchack district, around 8km north of Bangkok's main railway station at Hualamphong. 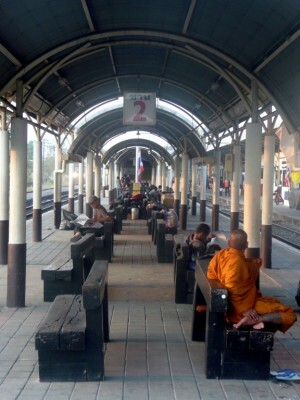 It is a small station that is served by the Northern line, the North-Eastern line and the Southern line and it is also used as a junction for these three lines. 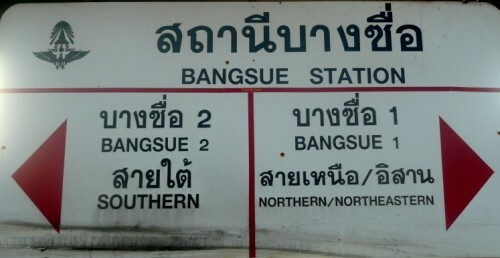 As a consequence most trains leaving from Bangkok to the South, the North or the North-East of the country can be boarded at Bang Sue railway station. 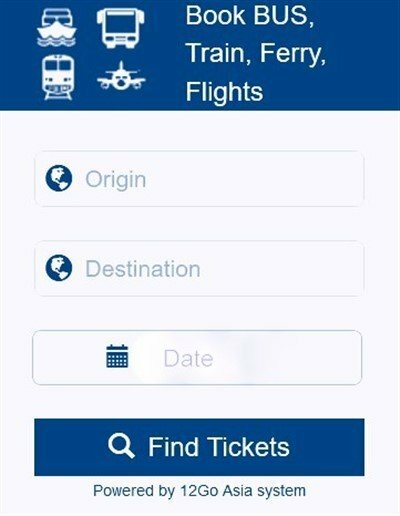 It has 72 tracks but only 4 are linked to the passenger station, 8 other tracks are linked to the near by locomotive depot and the remaining tracks are railway sidings. 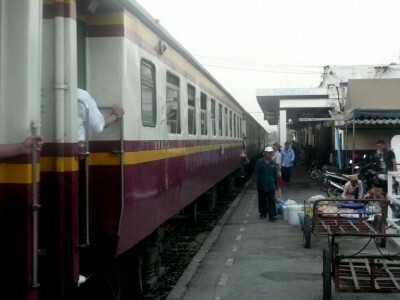 The Phahonyothin freight terminal is located near the station and is the main freight terminal in Thailand. 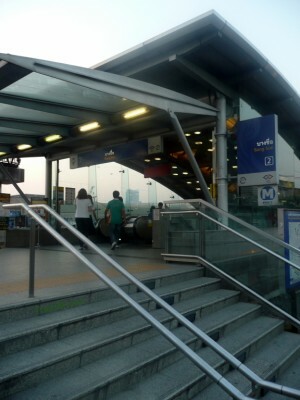 The railway station is accessible by the Bangkok MRT Subway Blue Line at Bangsue Subway station, which is the terminus station of the Bangkok MRT Subway line. Junction 1 which is the older station and Junction 2 which is the newer. 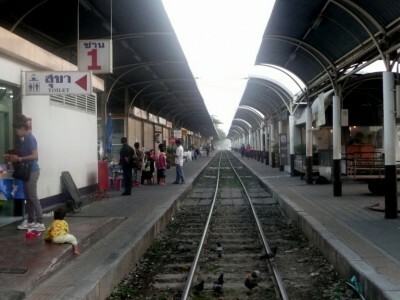 The distance between the two stations is no more than 200 meters. Station 1 is served by the Northern line and the North- Eastern line. 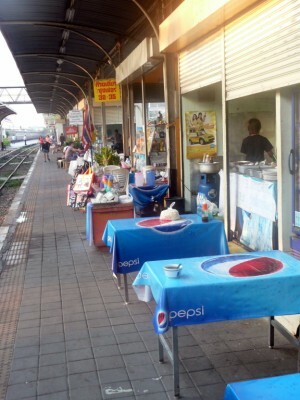 It has a ticket selling counter, a parcel area, a small grocery shop and toilet / shower facilities. Station 2 is served by the Southern line. 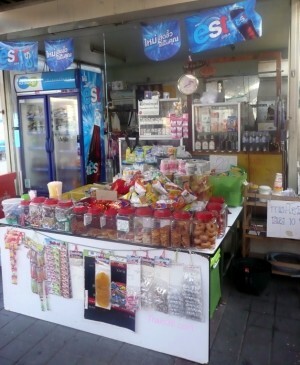 It is most easily accessible from the subway exit number 2. Like Station 1 it has its own ticket counter, a parcel area, toilets and shower facilities, a few food and beverage shops and even a some platform restaurants. 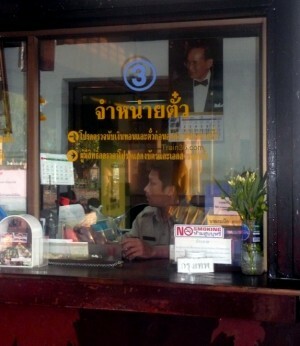 It also has ATMs from 3 Thai Banks: KrungThai Bank, Kasikorn Bank and TMB. 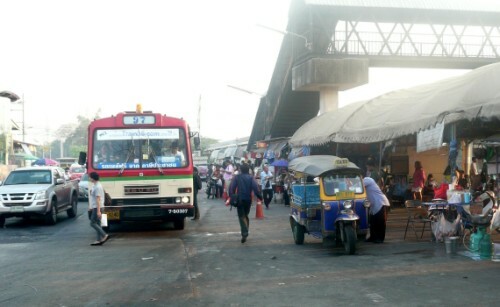 - the Red non air-con bus 52 goes to Mo Chit (near Mo Chit Northern Bus Terminal) and Chatuchak park (near the Chatuchak Week-end market). 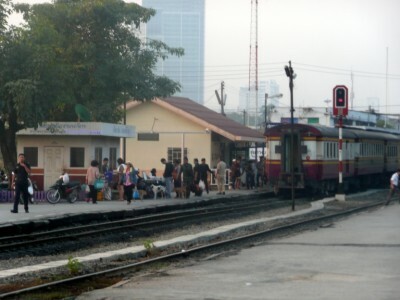 Bangsue has been chosen as the site for the new main Bangkok Train station and Depot that will replace Hualamphong Train Station, which opened for service in 1916. 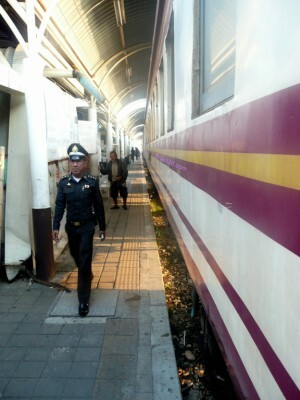 Plans for a new high-speed railway network throughout Thailand and the rest of SE Asia have been drawn up and contracts awarded. How long it will actually take to build is another matter.